In the wonderful world of retail, it’s an unwritten rule that luxury brands rarely offer discounts. Loyalty programmes? Yes. Spontaneous gifts or rewards? Sure. Discounts? No. Why? Because discounts risk damaging premium retailers’ carefully-crafted exclusivity and brand reputation. This poses the question: are high-end retailers expected to sit out price-slashing commercial shopping events, despite their money-making potential? Just last month, there were speculations that Single’s Day, celebrated in China on the 11th November, could be an “upscale alternative” to Black Friday. However, as it turns out, many luxury brands aren’t even looking for a fancy alternative. They’re happy with the real McCoy. This is something Vogue anticipated in the days leading up to Black Friday 2016, publishing a list of (mostly) luxury items staff members wanted to get their hands on. And when the weekend finally arrived, they were right. Whilst the crème de la crème (Hermès, Alexander McQueen, Burberry et al) shied away, more affordable labels such as Missoni, Kate Spade and The Kooples all got stuck in. To get a clearer view of how luxury and festive promotions can work together, we’ve taken a look at how the following six recognisable names approached last weekend's bargain bonanza (without putting off discount-sceptic customers in the process). Once described by American Vogue as the designer making “the biggest waves in British fashion”, Alice Temperley founded her eponymous brand, Temperley London, in the year 2000. Why it works: Take note: this isn’t just any sale, this is a *private* sale. Such exclusivity enables Temperley to retain its sense of sophistication and exclusivity and appeals to just about any buyer that likes to feel special. By promoting new, non-discounted collections as well as Black Friday offers, Temperley only really flirts with the annual sale, rather than embarking on a full-blown fling... Maybe next year, eh? Another British brand to join in on the wave of generosity rippling through the retail world last week was Mulberry. The leather goods label sent an email to subscribers with the subject line: 'Enjoy free delivery on all your orders' and included the following content inside. 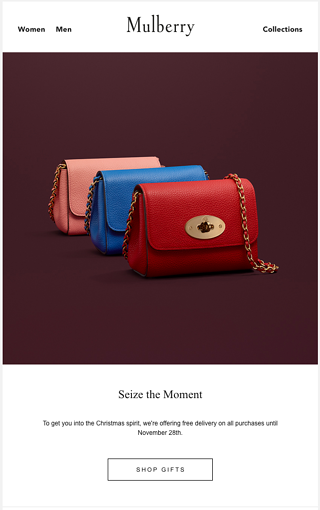 Why it works: With the nice CTA ‘Shop Gifts’ underneath its free delivery offer, Mulberry uses annual shopping event to appeal to the Christmas gift-buyer. As you can see in the email, there is no direct mention to ‘Black Friday’ itself, however through the ‘free’ delivery mentioned in the subject line, the luxury brand makes sure it doesn’t get lost in the mountain of discount emails its customers will inevitably have received that day. Who knew Kate Spade loved Black Friday so much? From Tweets to on-site promotions to email, the New York luxury name unabashedly reached out to bargain hunters across the globe. Why it works? Big flashy neon sign? Tick. Decent knock off the price? Tick. So why does Kate Spade’s Black Friday still manage to look seriously swanky? A fun and kooky brand, it makes sense that Kate Spade never does anything by halves. 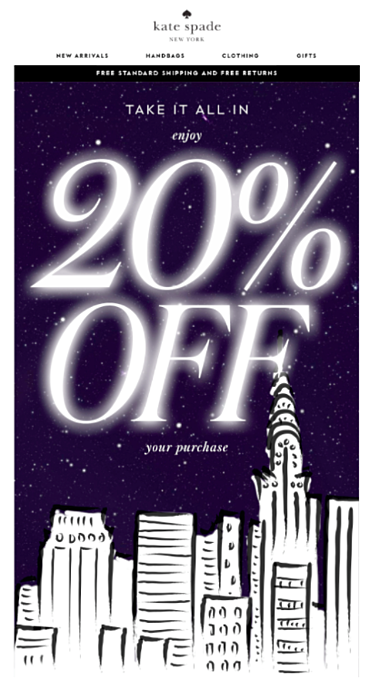 The alluring and quaint illustration of the New York city skyline, and simple backdrop of stars in the midnight sky, manages to make this promotional email cool rather than cringe. Penhaligon’s incorporated dedicated Black Friday ads into its paid marketing strategy this Black Friday, demonstrating some serious commitment to the event. Why it works: Cleverly, Penhaligon’s focus is on what it’s 'giving' customers, opposed to the prices being knocked off. Instead of money-off promotions, the ads focus on additional items/services being offered: 'Free Mistletoe Ornament Worth …', 'Sample with every order…', 'Free delivery over £50…'. Jo Malone also incorporated Black Friday-related ads into its Adwords mix which is explained underneath in a smaller font. Buy two bottles get the third free? Not quite (do you know how expensive they are to make!). A free engraving is a nice touch without going in for the hard-sell, tempting everyone that can’t resist sending a sentimental gift at Christmas. Why it works: The brand’s discount may be significantly small compared to other brands’ offering, but this kind gesture still smells like Black Friday! 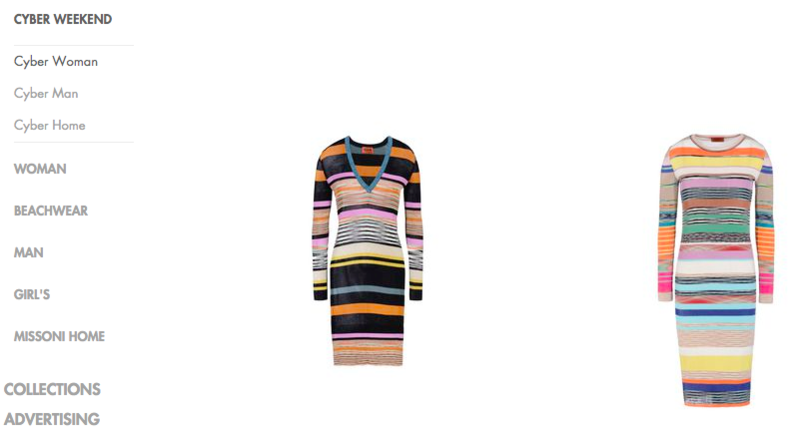 Despite being one of Italy’s most famous luxury brands, Missoni refused to miss out on 25th November. The veteran fashion house, known for its intricate, colourful designs, even added a special tab, devoted to Cyber weekend, under the “Shop Online” section of its ecommerce site. Why it works: Missoni hasn’t strayed from its usual branding; there are no garish banners strewn across the page, or gifs shouting “two for one!”. The Italian brand embraces Black Friday in its own way, perhaps reflecting its notoriously modern outlook and progressive attitude towards the fashion industry. As is clear from this post, there’s a new wave of luxury brands breaking free from traditional expectations and knocking prices off its products (and - in turn- products off its shelves). The majority of the luxury brands listed above are quite fun and funky. From Missoni’s zigzag patterns to Kate Spade’s bunny rabbit bags, these are brands willing to break the rules. They’re also likely to appeal to a wide demographic, including millennials who a) love a discount and b) love being online (and therefore inevitably seeing discounts). Ecommerce has transformed retail marketing. 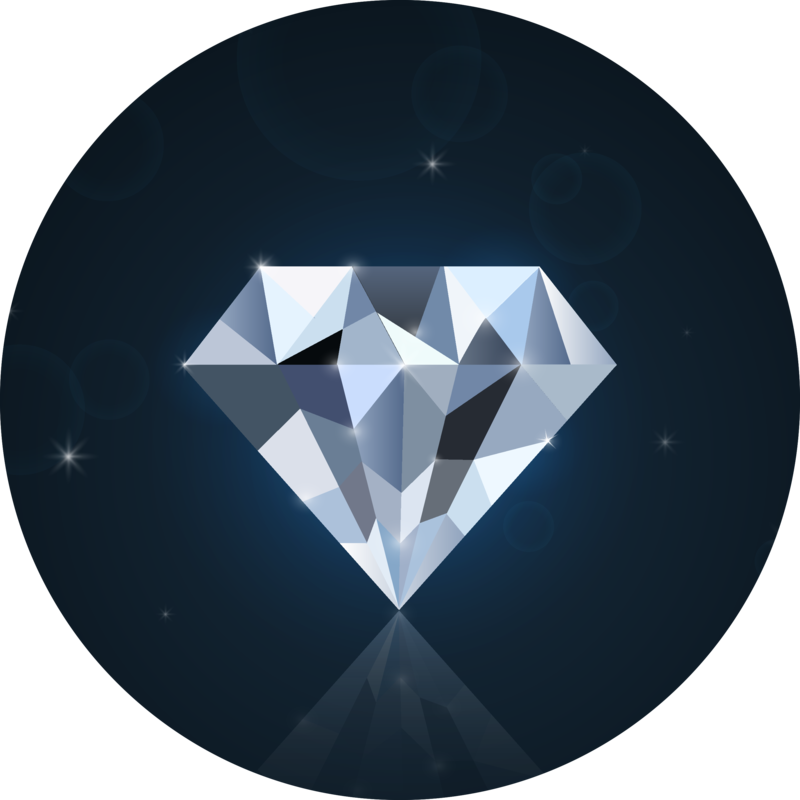 Today, any brand can create an awesome newsletter for its subscribers - regardless of budget. Now everyone’s on an even keel, luxury brands that once felt unthreatened by high-street equivalents may now start to be feeling the pressure. Ultimately, however, when you compare the number of luxury brands taking part in Black Friday to the number of high-street brands, there really is no comparison. Moreover, of the proportion of brands listed in this post, a handful kept the ‘Black Friday’ branding to a minimum. By offering more subtle offers and perks, such as free delivery or complimentary engravings, these brands continue to identify as different to non-luxury brands with nothing (and no customers) to lose.